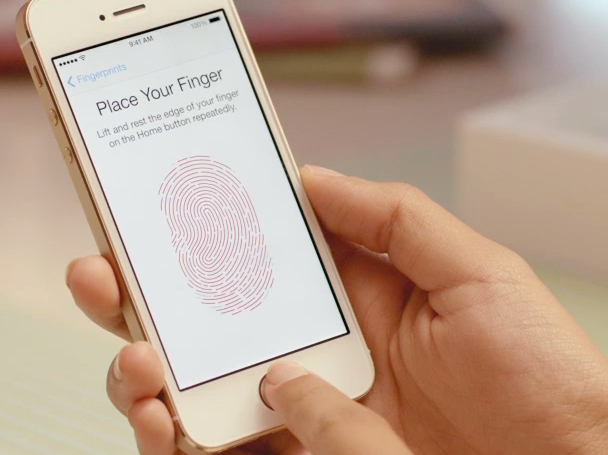 The iPhone 5S features fingerprint sensor technology – perhaps the most innovative addition to the new smartphone. Apple are calling the fingerprint sensor “Touch ID” and it offers users an extra layer of security for both their iPhone itself as well as iTunes purchases. During the iPhone 5S announcement Apple were quick to point out that all fingerprint data is stored, fully-encrypted, inside the on-board CPU rather than on any of Apple’s physical servers or online backup systems such as iCloud. All users who elect to use the Touch ID fingerprint system also need to setup a standard passcode, which is mandatory after rebooting or any period greater than 48 hours without an unlock. The fingerprint sensor technology is currently being limited to unlocking the iPhone and authorising payments to Apple via iTunes. Wary of privacy concerns, Apple have made it clear that Touch ID will not be made available to third-party developers or applications. Initial reviews have indicated that the fingerprint sensor works generally well, but has difficulty recognizing the user if the person’s finger is wet/sweaty. One of the main iPhone 5S feature updates involves the rear-facing camera, which has received major improvements both in the quality of the camera hardware as well as new shooting modes and options. The iPhone 5S camera retains the scratch-resistant sapphire lens and now comes with an f/2.2 aperture and a sensor which is 15% larger than the one on the iPhone 5. All-in-all, Apple report that the iPhone 5S camera is 33% more sensitive to light than the iPhone 5 camera. The flash has also received an update, now featuring a dual-LED “True Tone” flash that provides more true-to-life colors and skin tones. Auto-focus is now faster thanks to a 15-zone matrix and better software-based image stabilisation. Software-wise, the iPhone 5S camera now offers the ability to shoot video in 720p 120 fps ‘Slo-Mo’ mode as well as a new Burst Mode which shoots 10 shots in a second so you never miss the moment. Standard video capture is also improved – the iPhone 5S can shoot at 30 fps which is a 50% improvement on the iPhone 5. One glance at the iPhone 5S and you’ll notice that, as with previous ‘S’ model upgrades, there is little difference between the iPhone 5 and 5S in terms of structural design. Of note, the iPhone 5S home button is now flat (not concave) and now features a surrounding aluminum ring to support Apple’s new fingerprint technology. And of course, the iPhone 5S now comes in a much-talked-about gold-finish as well as a ‘space-gray’ silver finish that replaces the black model. The major update to the internals of the iPhone 5S comes in the form of the 64-bit A7 processor, which has been teamed up with the M7 motion coprocessor ‘helper’ chip which takes the load off the main CPU when computing gyroscopic, accelerometer and compass data. In line with past hardware upgrades, the iPhone 5S has received a healthy boost in battery life with the iPhone 5S battery offering up 10% better life than the current model iPhone. Talk time or LTE browsing has increased from 8 hours to 10 hours and standby has gone up to 250 hours on the iPhone 5S, up from 225 hours on the iPhone 5. In terms of graphics performance, early tests and benchmarks demonstrate that the iPhone 5S has made significant improvements on the already impressive iPhone 5 with better framerates and smoother gameplay thanks largely to the new 64-bit A7 processor and support for Open GL ES 3.0. Un-contracted, the iPhone 5S will start at $649 for the 16GB model and go up to $749 and $849 for the 32GB and 64GB models respectively. 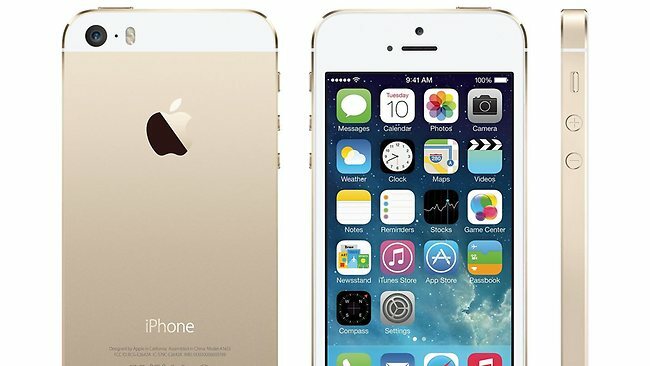 In an uncharacteristic move, Apple are not offering iPhone 5S pre-orders online. The iPhone 5S release date is September 20 and both online ordering and in-store purchases will begin from that date.